Eden Hazard’s goal was ridiculous, but Liverpool were robbed by terrible officiating tonight. Firstly, Naby Keita’s foul for the freekick that led to the goal should never have been awarded, as the Guinean got all of the ball and was in no way playing dangerously. Secondly, Ross Barkley, whose initial header was parried into the path of goalscorer Emerson, was offside. Referee Kevin Friend went to VAR, who have the benefit of a still screen and lines to help differentiate players, and they still managed to get it wrong. 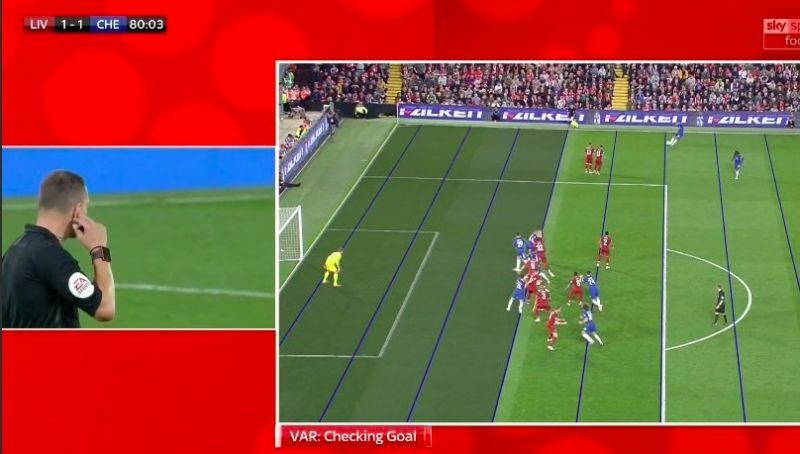 We honestly assumed offside would be black and white with VAR, but we were sadly mistaken. As you can see in the picture below, Barkley’s left leg is offside. His entire foot is over the line of Liverpool’s last defender. How is this hard? It’s so blatant. That’s just stupid.